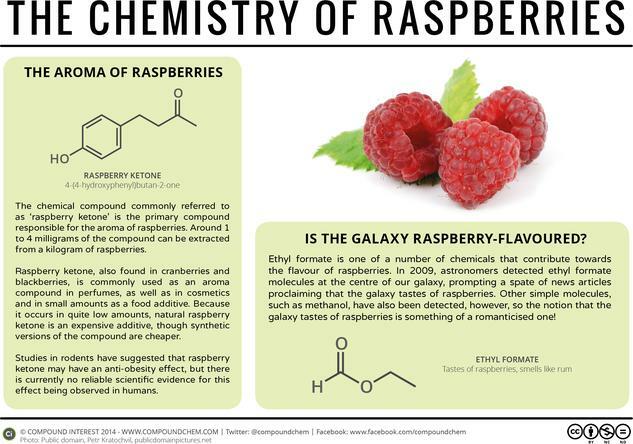 Raspberries, like all fruits, contain a complex mix of organic compounds. 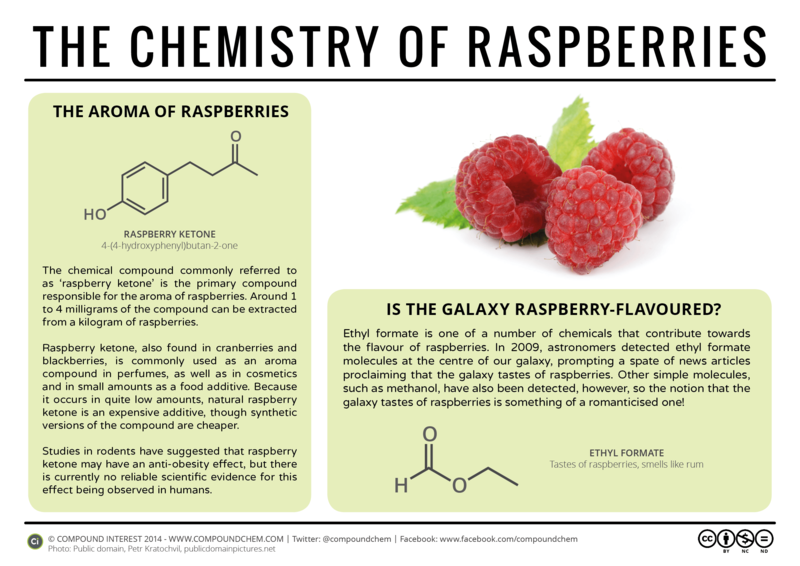 Unlike many fruits, however, raspberries have the less common distinction of lending their name to the compound that is a major contributor to their aroma – and one of the compounds that contributes to their flavour has also been detected in the centre of our galaxy. So, does the centre of the galaxy taste faintly of raspberries?